It is so nice when those days come that things actually work! This, for me, is a lovely thing mainly in the realm of science and crafts. I am learning that most of the time, simpler is better. The simpler the experiment the more chance it will work as it should. The simpler the craft the more chance it will actually look like the example! I must say, I am also learning that those two things don’t matter as much as I thought they did. So we have to modify a craft to make it work…ok. So the science experiment doesn’t work as it should, or not at all…ok, we can still learn from it. In this homeschool process, I am being molded and stretched as much if not more than my kiddos. With M2 (my youngest, 3-year-old daughter), we have started doing an “unofficial” letter of the week focus. Lately, she is getting “bored” more and more, so we needed to do a few more “structured” learning activities to help challenge her. One of the success projects comes from this letter focus. 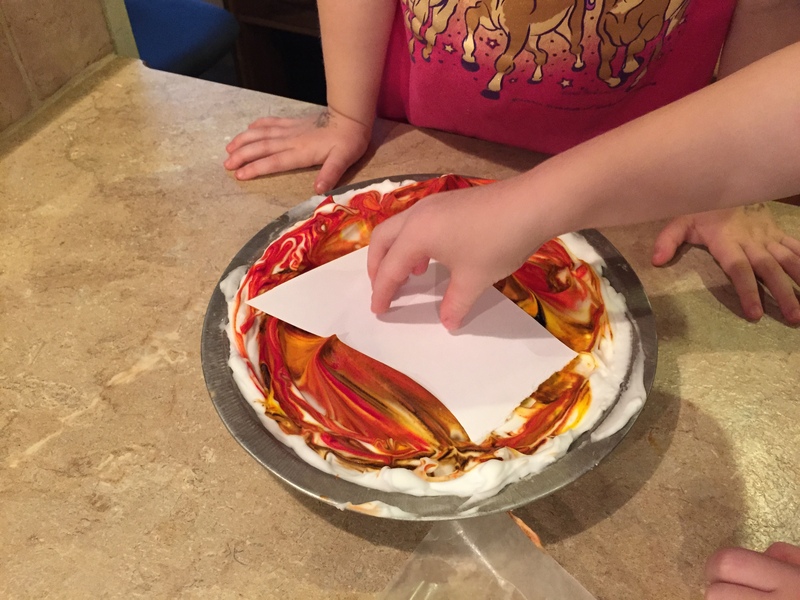 Some time back, I happened upon a free preschool letter of the week curriculum – Look What I Can Do! Preschool Curriculum. It is in e-book format and in my opinion it is nothing fancy. Personally, I wouldn’t pay $20 for it, but if you can nab it for free or at a discount, it is worth it. It helps me to have a letter schedule to follow for each week. I have learned that it is easier to change a curriculum than to start from scratch and come up with my own. So, I have been following their letter schedule, but skipping some activities and adding others. 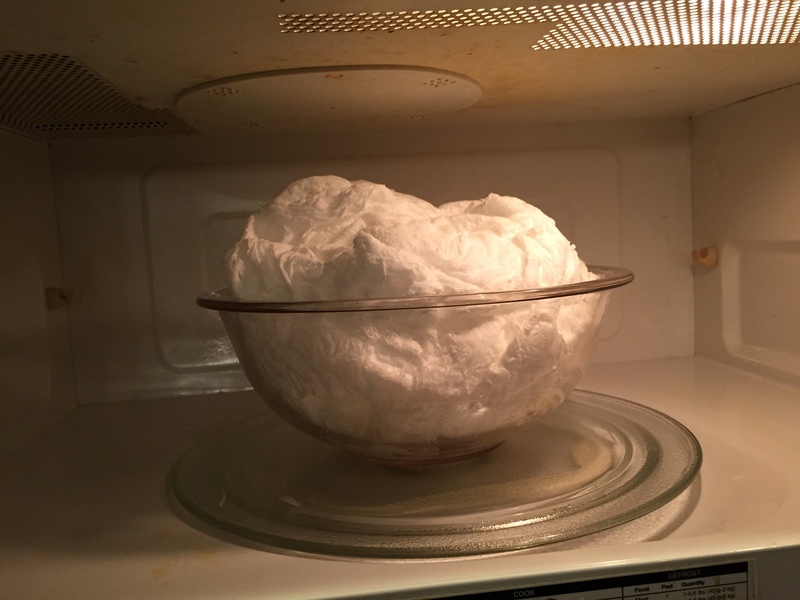 The first successful activity for the day involved soap “exploding” in the microwave. The letter focus of the week was ‘S’ so we called it Soap Science. This is one of the activities listed in the curriculum mentioned above. The soap will be too hot to handle at first. 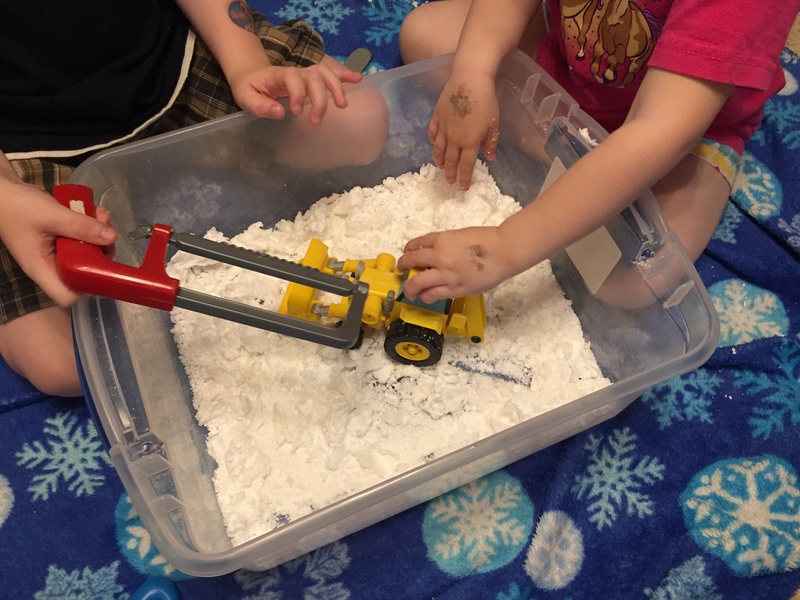 After the soap cools, it has a really neat crumbly texture so we added it to our sensory bin for the kids to explore. 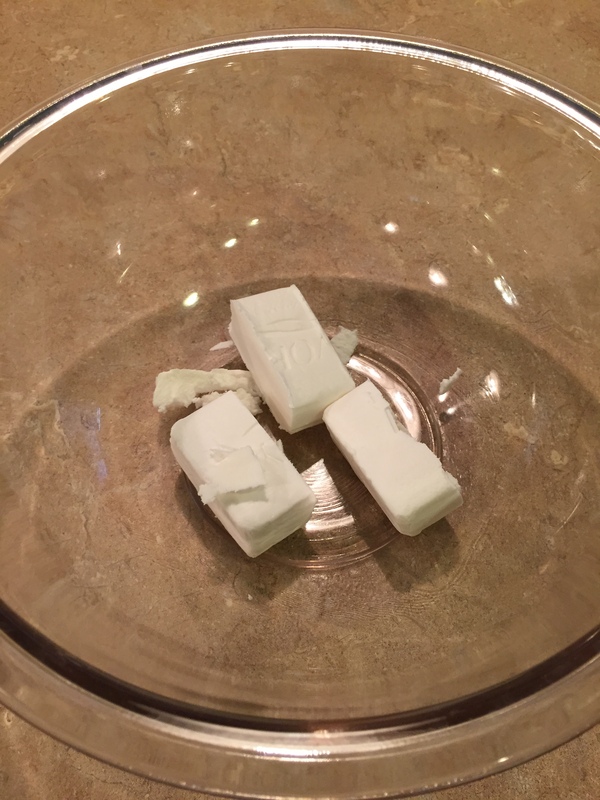 We ended up doing three bars of soap and had a decent amount to play with in the bin. You can find this experiment on YouTube here. Note: On the YouTube video she uses a paper plate. 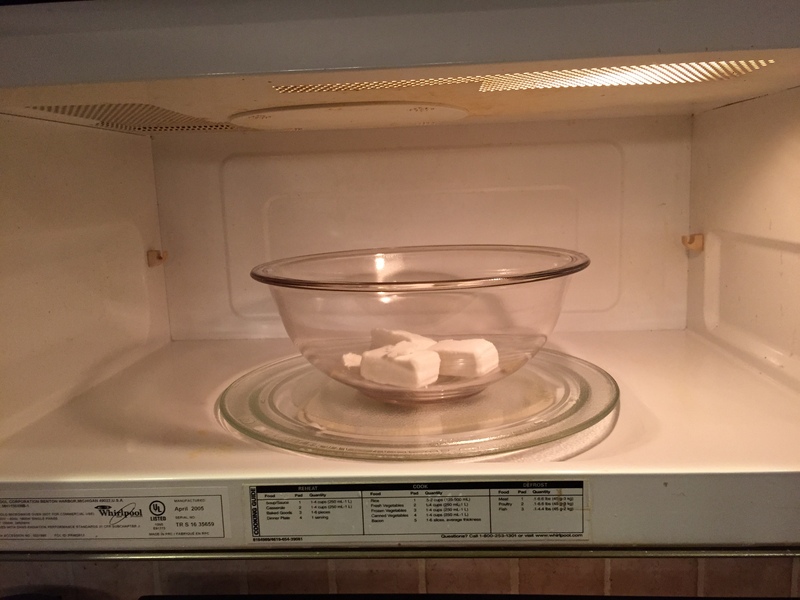 I found a glass bowl does much better at containing the expanding soap. I will say that the only thing I would warn about is the strong smell of the soap in the sensory bin. If you or your kiddos are smell sensitive, be ready for a strong aroma. Our other successful activity comes from M1’s (my oldest, 5-year-old son) science unit. 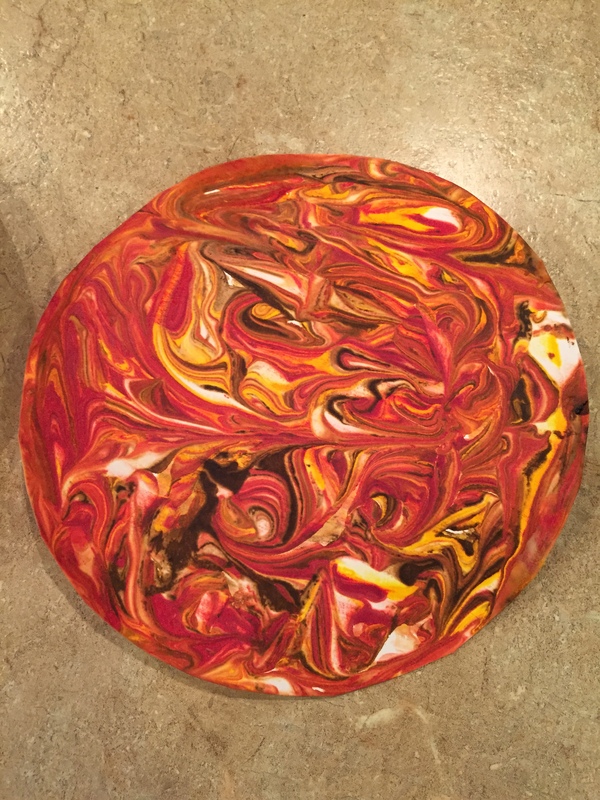 He is studying Jupiter and over at It’s A Boy’s Life,they made a fun paper Jupiter using liquid starch and food coloring. 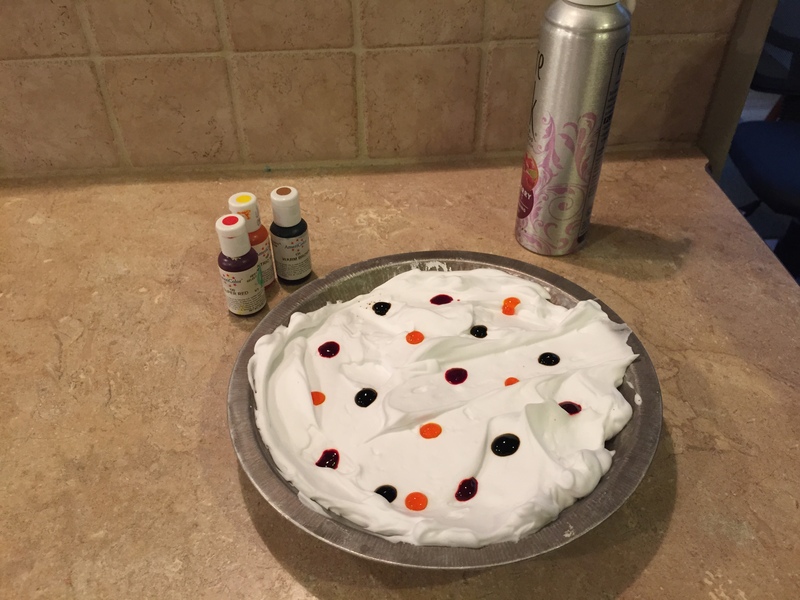 I didn’t have any liquid starch on hand, so I used food coloring, shaving cream, and white cardstock. 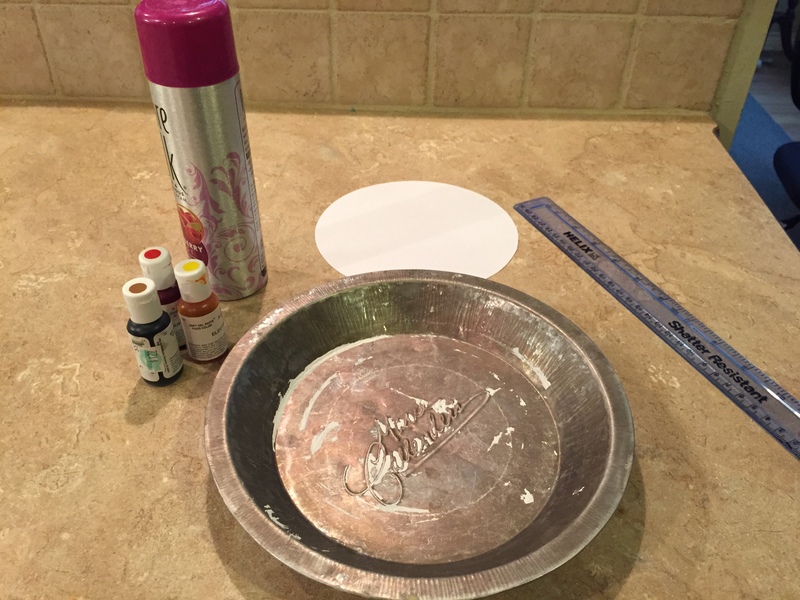 Step 4: press firmly (but not too hard) the cardstock circle onto the colored shaving cream. I like to rub my fingers over the paper to make sure the color is adhering to every part of the paper. And now you have your Jupiter! The color adheres immediately and will not smudge or smear. Here is a YouTube video that can also help…click here. 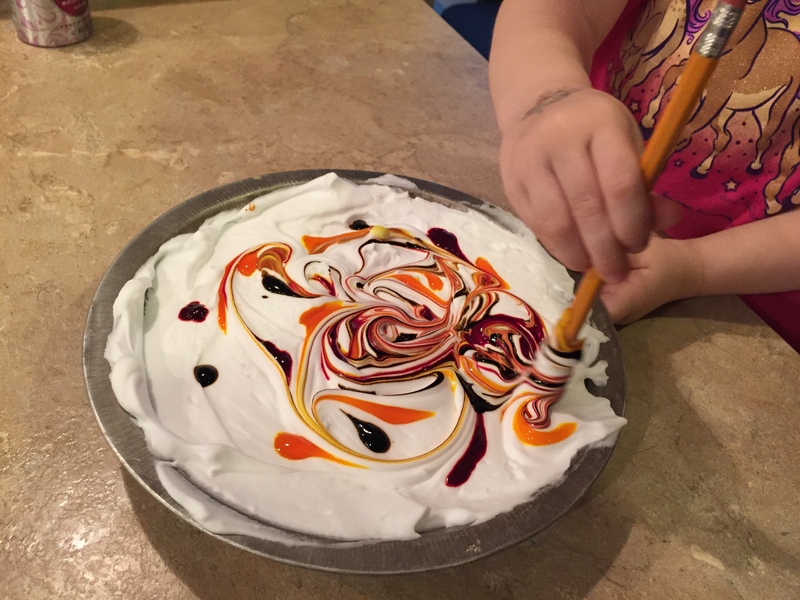 These were really great activities that captured the kids (and my) imagination and creativity. Not everyday is like this in our little homeschool, however, when it happens it is a marvelous thing. I will have to say that I did not put much effort into a focus of “schooling” last week. In preparation to write this post, I started to reflect on last week and realized – I don’t remember a whole lot about it! You know those weeks, where you just live it. You walk through it and press on. I love how the Lord prevails and toward the end of the week, I was able to come out from under the fog. Last week, I decided that it would be fun to work within a theme of the Sun. I did a little searching online, but as the last post stated sometimes there is just Too Much Help to wade through on the internet. There are many units out there about the solar system, but not many just focusing on the sun. I was having a hard time even knowing where to begin or what to do. 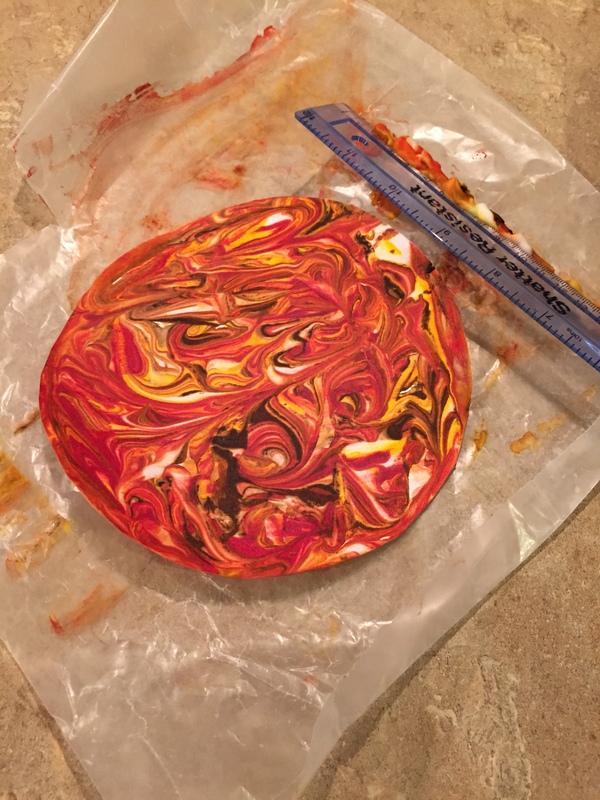 We did a craft or two, but it was a sensory activity that helped move me forward. We poured out a good amount of regular table salt onto a cookie sheet (saw this on the web). 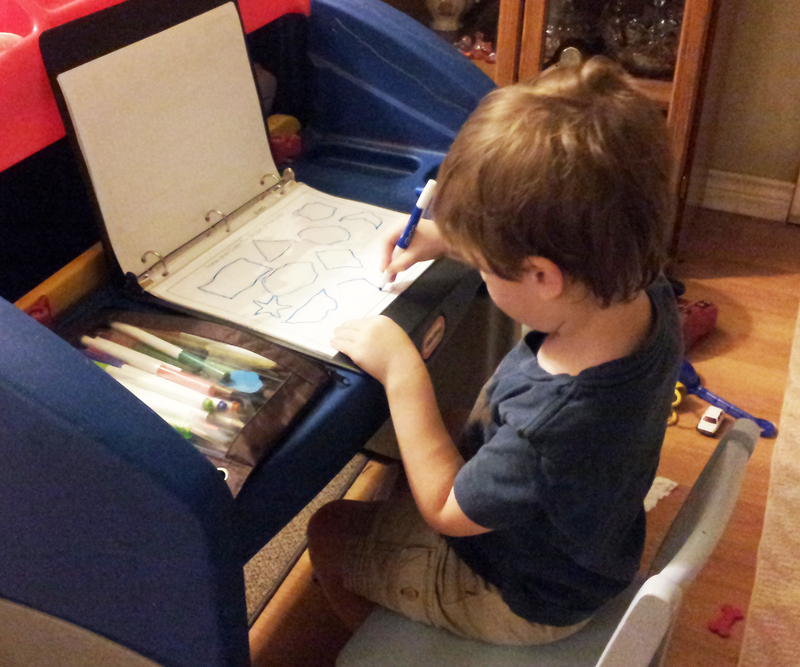 Mason enjoyed this and started writing his name, letters, and such. Then I had the idea – the Sun theme. I asked him to draw a sun. Then I asked him to write a word that described the sun… he wrote ‘hot’. Yes! I had a feeling I was onto something here. He continued to come up with words to describe the sun. 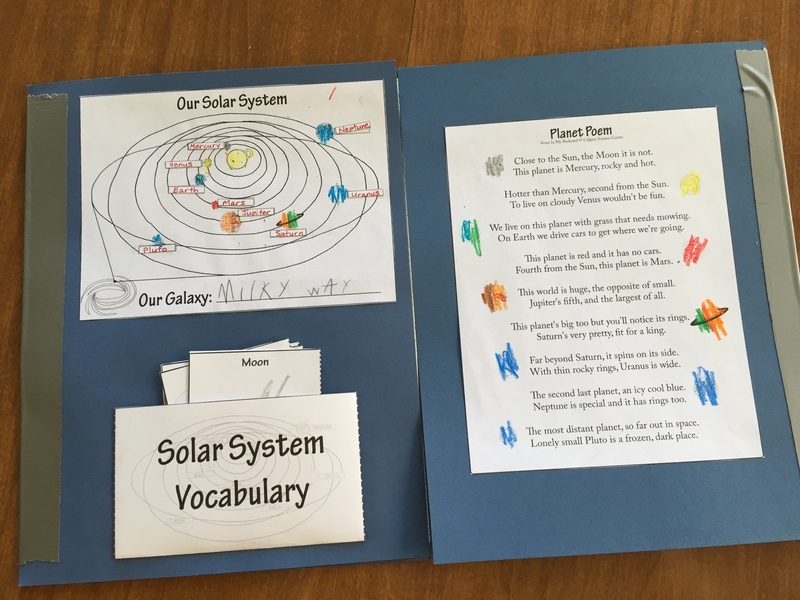 Wow, a spelling activity within the theme of the Sun. No striving, just flowing. What activities would you suggest for a Sun theme? While cleaning our utility room, I found a roll of Thomas the Tank Engine stickers. Mason thought they were amazing and quickly stretched them as far as they would go on the couch. Seizing the opportunity, I asked him to count them. 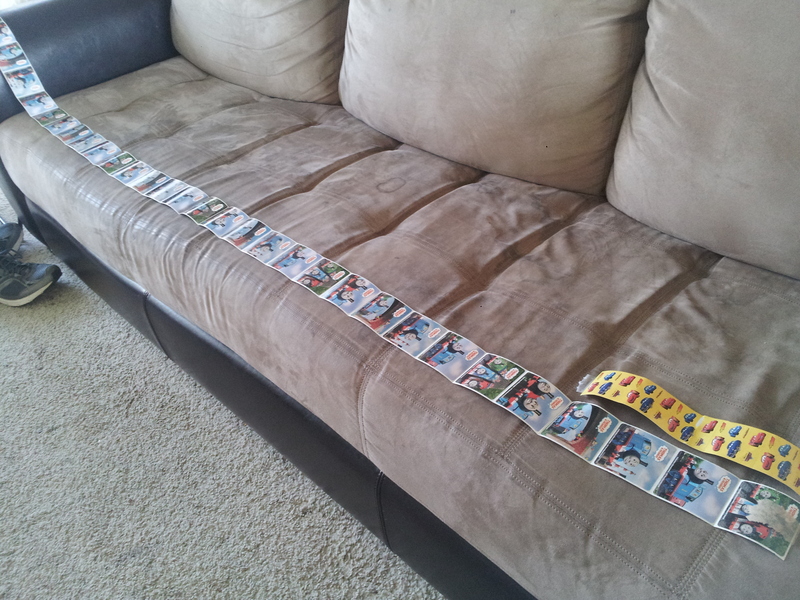 With the roll of Thomas stickers, there were over 30 on the roll. I noticed there was a pattern every six stickers. I asked Mason to find the pattern. I also asked him how he knew the pattern was starting over. I want to better understand how he is recognizing patterns. 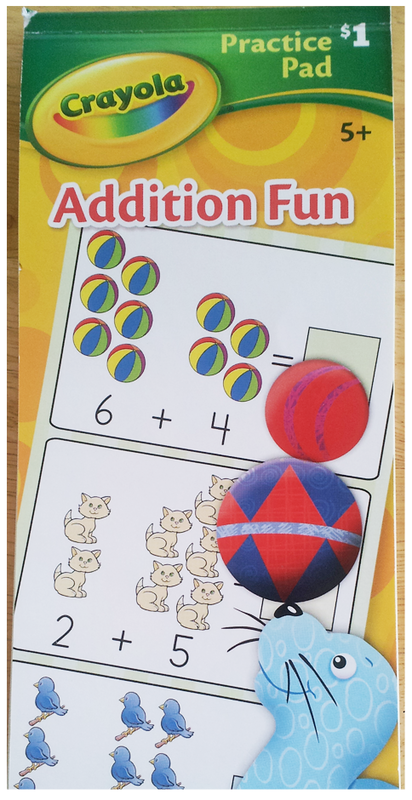 A sheet of basic addition problems, purchased at Wal-Mart. We created a Solar System mobile. This was a mixture of several activities that I had seen from an art book Adventures in Art by Susan Milord, and two other crafts online. The mobile was a spiral mobile. We made a circle of cardstock and stapled it together for the top – we used yellow paper to represent the sun. The planets hang down each one a little bit farther to represent the distance that each planet is away from the sun. I chose to use a smaller hole punch so that we could simply knot the ribbon behind the hole. This was a fun way to work on the order of the planets. Also, a great way to revisit the order time and time again. 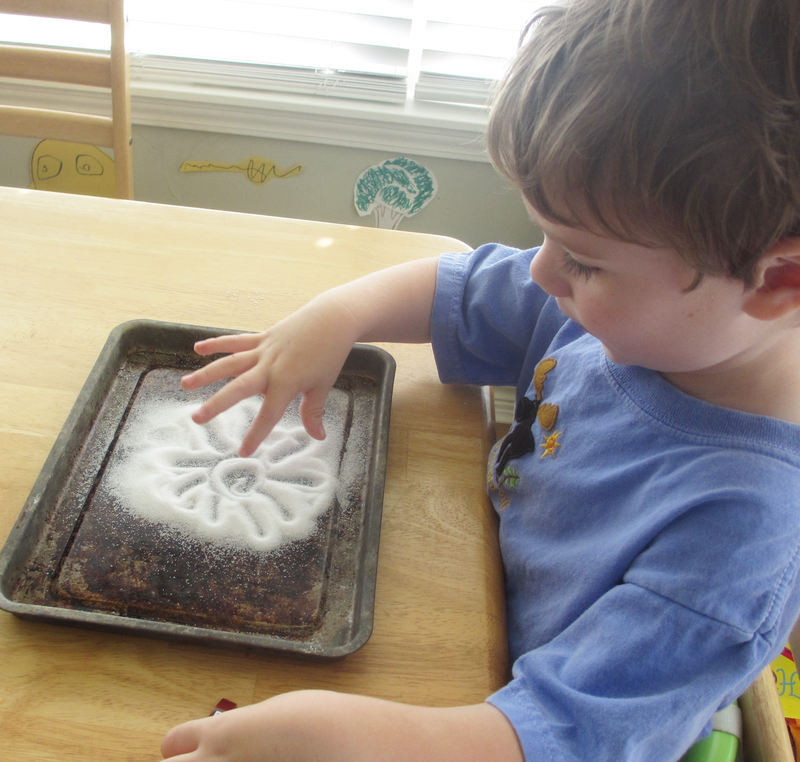 We place a good amount of salt on a cookie sheet – Mason then went about drawing pictures, as well as letters, numbers, his name, etc. 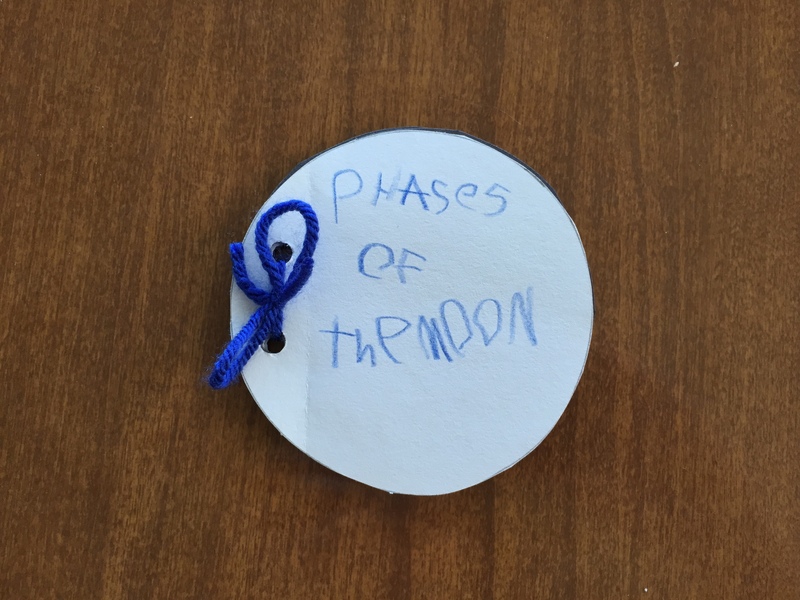 I also classified this as a Spelling activity since he started writing words describing the sun. And again, Mason worked on his calendar activities from RoyalBaloo.com throughout the week which covers some Handwriting, and Math – graphing, shapes, number awareness.